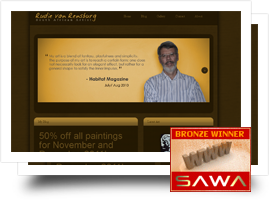 Rudie van Rensburg is a great local artist who wanted a website to display his artwork to the public. I used WordPress to build him a site, that he can showcase his work, as well as blog about art. This website won me my first Bronze South African Web Award.